Despite having college diploma, Annet struggled to find a job-until she attended a Generation program. With new skills and motivation, she got multiple job offers and is now a customer care representative at Safaricom. Annet was born in Bungoma, a village in rural Kenya, and raised by a single mother with a passion for her children’s education. Annet finished high school and completed a diploma in business management at great financial sacrifice to the family. “But finding a job was not easy. I was fresh from college with only a diploma, competing against people with degrees,” she says. Eventually she found a job as a cleaner. Annet chose to join a new branch of NIC Bank, where her job was to convince businesses to open accounts and buy financial products. Initially she struggled to meet her targets. “So I really reflected on what I’d learnt from Generation, and I said to myself: God help me, I’m going to do it.” That month she opened 33 new accounts, making her the best performer in the country. Annet kept on making great sales month after month. 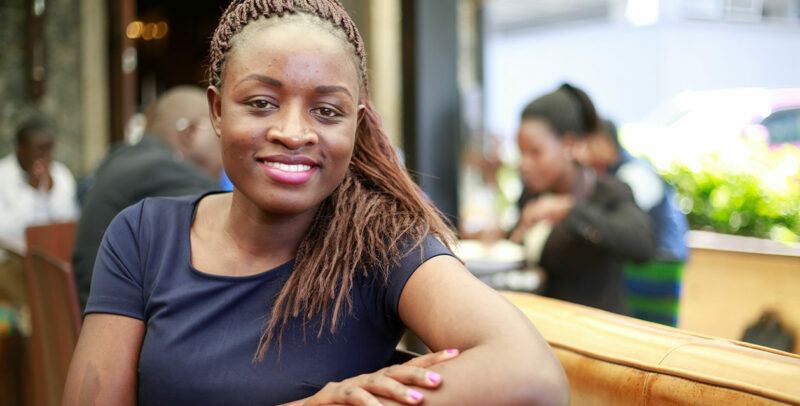 When she spotted a job opening at Safaricom, Kenya’s leading mobile telecom operator, she decided she was ready for the next step in her career. “I was making good money, but Generation taught me to seize opportunities to learn and grow.” She shone in that interview too, and is now thriving in her customer care role.